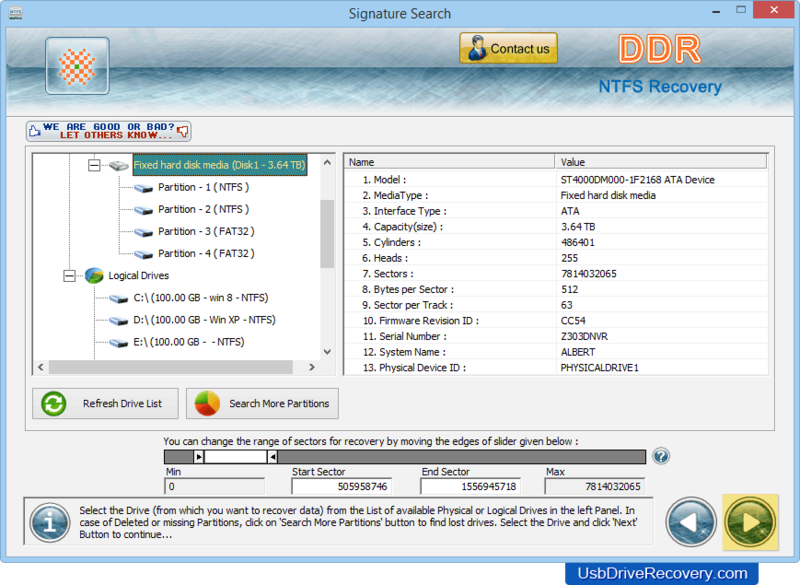 NTFS Data Recovery Software recovers deleted data from NTFS partitioned windows hard disk drive. Software restores missing text files, photos, favorite wallpapers, song folders and other important documents lost after formatted or virus corrupted HDD drives. Program retrieves files lost due to most common data loss incidents including hard disk failure, human error, corrupted boot sectors etc. 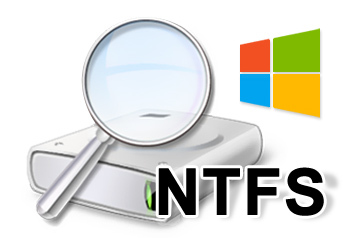 Recovers deleted files and documents from NTFS and NTFS5 partitioned hard disk drives. Software restores lost photos, images, pictures, music files, video albums, text files and official documents saved in hard disk drives. Support major hard disk standards including IDE, ATA, SCSI and EIDE or other similar drives. Program is compatible to major hard disk brands like Olympus, Maxtor, Hitachi, Western Digital etc. Provides data preview facility to view lost data files before actual recovery process. Select the disk or partition from the list of available Logical or Physical drives to recover lost data. Formatted or re-formatted hard disk drives.